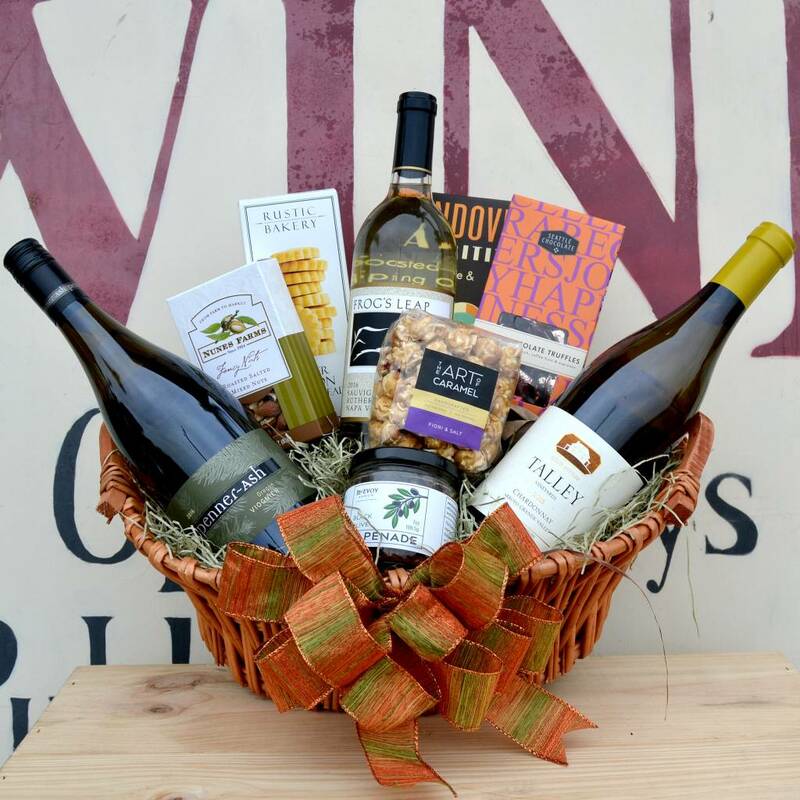 If you know someone who prefers white wine, they're gonna love this basket! A beautiful selection of Chardonnay, Sauvignon Blanc and Viognier accompanied by some yummy snacks will make a great, and appreciated, gift. Chardonnay from Tally Vineyards, Frog's Leap Sauvignon Blanc and Penner-Ash Viognier make a beautiful trio against a backdrop of Rustic shortbread cookies, Seattle truffles, Mondevino crackers, caramel corn and McEvoy tapenade. A gift that will make a white wine lover very happy!